Thank You, Books & Books! Books & Books is a proud sponsor of our annual Book Drive. This year, books will be donated to Year 1 students at Prospect Primary School. 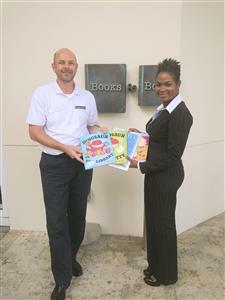 Photo: Director Khalesiah Barboram (left) is seen with Stephen Wagner, Manager of Books & Books.